Twelve Apostles of Jesus were the men whom Jesus chose to be His companions and students during life and to carry His message into the world after His death. Theology writers will custom write a research paper on any or all of the twelve apostles. 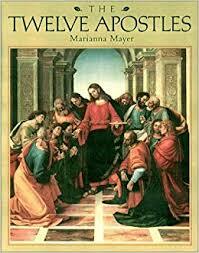 The twelve apostles of Jesus are studied in many of the books of the Bible and can be explicated by our writers. All twelve were most likely Galilean Jews, even though some of them had Greek names. The list of apostles is not entirely clear from reading the Gospels. Matthew and Mark refer to the Jude as Thaddeus, whereas Luke calls him Judas, son of James. Most people assume these are the same person, but there is no way to know. The Gospel of John does not give a list, and mentions only seven apostles by name and one of them is Nathanael, whom most people associate with Bartholomew, although, again there is no way to know for sure. Judas Iscariot could not move from disciple to apostle, of course, since he betrayed Jesus and then hanged himself. Mathias filled his position. Mathias was one of two contenders for the vacancy, and got the position by drawing lots after the remaining eleven apostles prayed for a sign. Parables of Jesus Christ research papers illustrate that in the teachings of Jesus, he made use of parables to show lessons. Jesus Christ - Jesus the Teacher research papers overview the teachings of Jesus according to the Gospels. Jesus Was Not A Philosopher research papers illustrate that the Christian Church and Christianity do not consider Jesus Christ a philosopher. Ethics in the Early Church - Ethics in the Early Church research papers delve into an important framework of ethical behavior for Christians. Luke – The third gospel in the New Testament that recounts the life and teachings of Jesus Christ. The Book of Acts- The Book of Acts Research Paper discusses how to order an religion research paper with giving specific instructions on how its to be divided up into sections. Romans – The Book of Romans was written by Paul the Apostle as a letter to the Church of Rome dated back to about 60 A.D.
Paper Masters writes custom research papers on Twelve Apostles of Jesus and discuss the twelve apostles who were the men whom Jesus chose as His students during life to carry on Hiss message after His death.